The exclusive French brand began as a well-heeled shoe boutique and now is an international fashion house of ready-to-wear glamour. 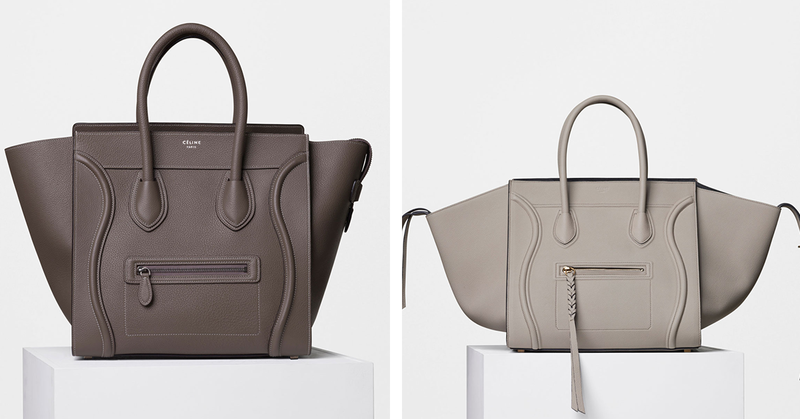 Like Hermès, Dior and Chanel, the Céline brand embodies French luxury. A member of the exclusive LVMH group, the brand has spoiled fans all over the world with its cool and chic style for more than 70 years. Céline's story begins in 1945 when Céline Vipiana (1915-1997) and her husband, Richard, founded the company in Paris at the end of World War II. Initially, it was just a small shoe store offering custom-made shoes for children of wealthy French families. On the strength of the boutique's success, Vipiana quickly opened three additional stores and slowly oriented her production and expertise towards leather goods. 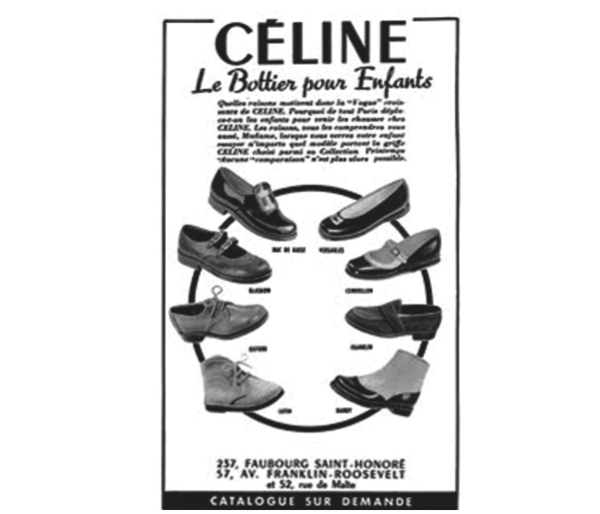 In the early 1960s, Céline was marked by both very fine creations, such as the brand's line of flat-heeled moccasins – the Inca and the Byblos, in particular – and the brand's entry into the fashion realm. Vipiana made the brand's signature colour red and branched into perfume and accessories like jewellery, bracelets and scarves. 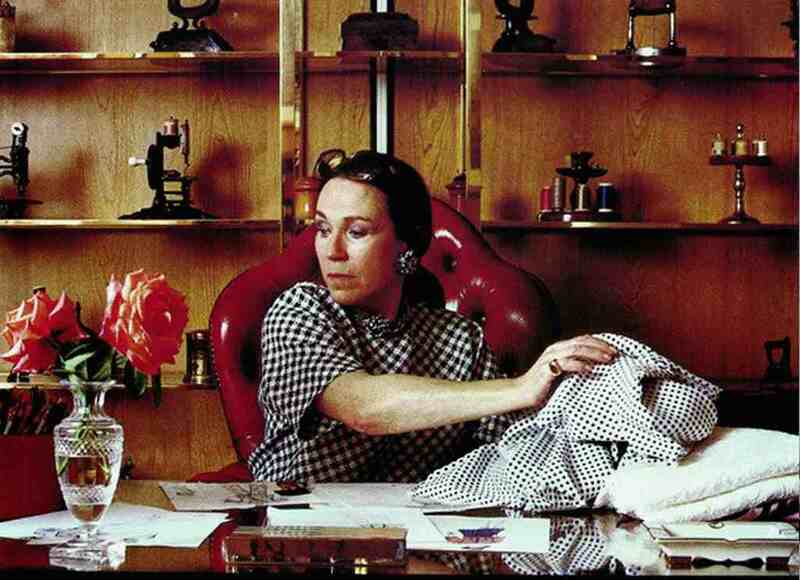 In 1967 came the big leap: Vipiana organised her first ready-to-wear collection. From pants and skirts to jackets and knitted blouses, everything had been designed to fit the lifestyle of the active woman. The combination of chic style and the ease of ready-to-wear design was a winning one: in the early 1970s, the brand opened stores throughout Europe, as well as in Asia and North America. It was during this period that Vipiana had the idea of using the motif of the chain surrounding the Arc-de-Triomphe to create the brand's famous chain necklace – forming two intertwined ‘C’ initials – which would become the brand’s coat of arms. Through the 1970s and '80s, the brand continued to introduce its elegant and relaxed style to the world, thanks to the work carried out at the main workshop and manufacturing plant based in Florence, Italy, where top artisans had centuries of knowledge in working with leather materials. 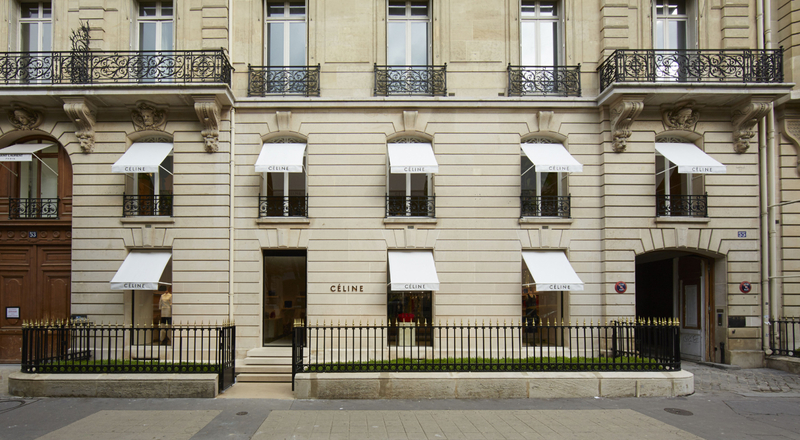 In 1987, two years after Bernard Arnault’s acquisition of a stake in the company, there were 85 Céline boutiques across four continents. 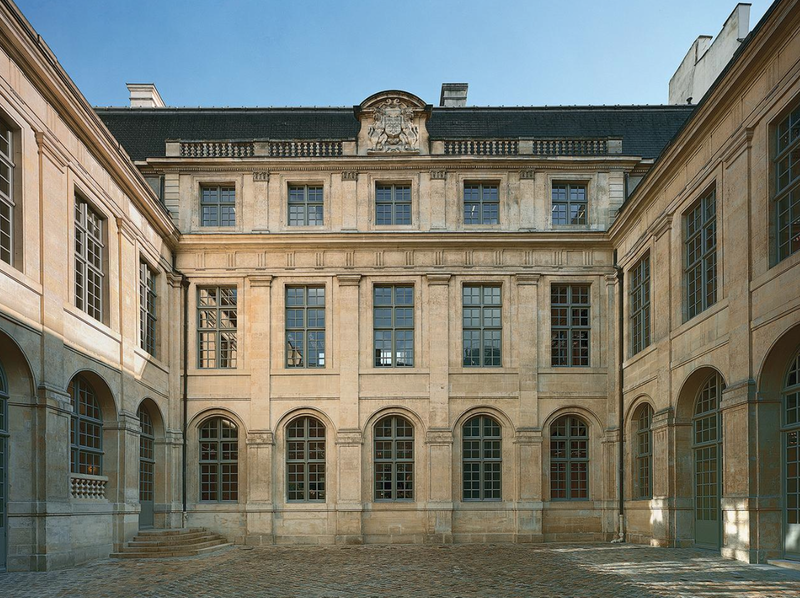 With the major expansion having come to an end, the brand focused on its entry into the LVMH group and the installation of its headquarters on Paris' rue Vivienne in a private mansion listed as a historical monument. On the creative side of the brand, three designers took the helm between 1997 and 2008 (the American Michael Kors, the Italian Roberto Menichetti and the Croatian Ivana Omazic). With the arrival in 2008 of the British creative director Phoebe Philo, the brand found a new impetus, becoming synonymous with minimalist luxury, avant-garde femininity, and functional and accessible design. The brand’s success was also tied to its high quality leather products, including chic calfskin handbags, such as the Luggage, the Phantom and the Trotteur. The popularity of the brand also exploded thanks in part to the originality of its advertising campaigns. For example, in 2015 the brand executed a campaign around the American novelist Joan Didion. Hedi Slimane, whose impressive résumé includes Creative Director of Dior Homme and Yves Saint Laurent, joined Céline as its director in January 2018. The Céline show was certainly the most anticipated fashion show of Paris Fashion Week 2018 – and for good reason. In a sensational show, the designer orchestrated the beginning of the complete redesign of a brand that has become a symbol of glamour in the ready-to-wear world. This sleek-meets-classic look was echoed in Slimane's first menswear fashion show in January 2019 during Paris Fashion Week where he introduced British punk-chic men’s apparel at the Place de la Concorde to close out Men’s Week. 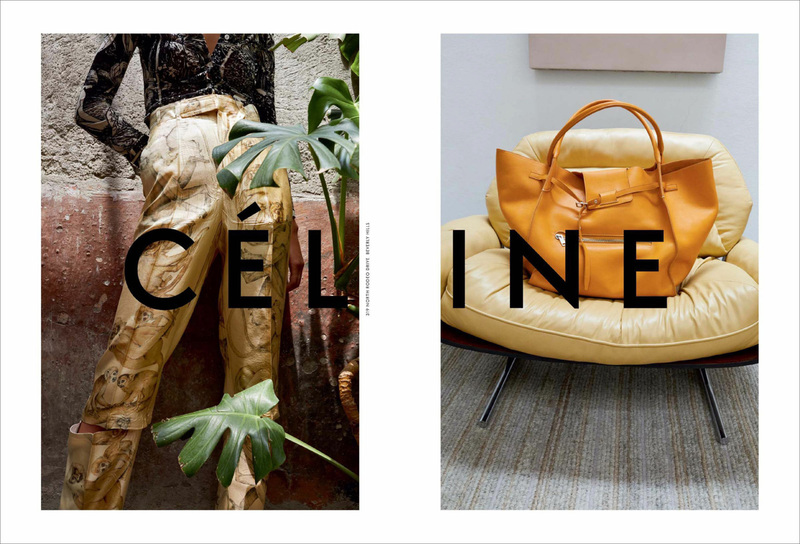 As the brand celebrates 75 years in 2020, the fashion world awaits what is next from the discreet, yet glamorous Céline.